Former Prime Minister Amama Mbabazi has said he will soon get time and ask his long time comrade, President Yoweri Museveni whether he voted for him during the 2016 presidential elections. After being dropped as Prime Minister, Mbabazi stood for president against Museveni and polled 136,519 votes. Speaking during the Kuhingira(give away) ceremony for his niece, Bridget Birungi and Andil Rwamaphosa at his home in Kololo Mbabazi spoke of his friendship with Museveni saying it can never fade away. 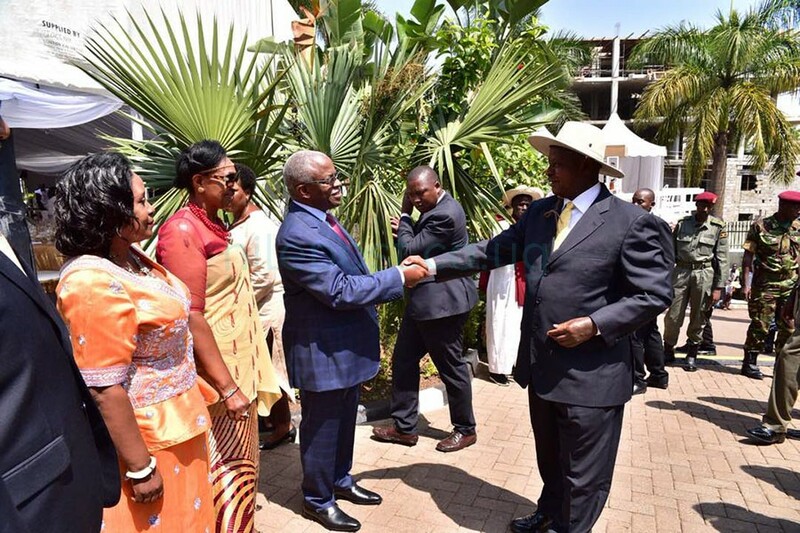 “We have been together for more than 40 years .Of the 29 people we went with to Mozambique only him(Museveni),Salim Saleh and Ivan Koreta are the only ones still living,”Mbabazi said on Saturday evening. Amama Mbabazi and his wife Jackie welcome President Museveni. The former Prime Minister said despite being comrades and were in the struggle for liberation together for many years, he has not met frequently with President Museveni. “When this occasion came, I felt it was time to engage,”Mbabazi said. Earlier, President Museveni had also described Mbabazi as one of his oldest comrades, whose friendship he said dates back in the 1970s as they started the liberation struggle. “I got in touch with Mbabazi in 1974 after our planned attack on Idi Amin failed and our internal network of people like Rugunda(Ruhakana) and Kategaya(Eriya) was exposed and went into exile,”Museveni said. Repeatedly referring to Mbabazi as “my younger brother”, Museveni underscored his role in the liberation struggle. 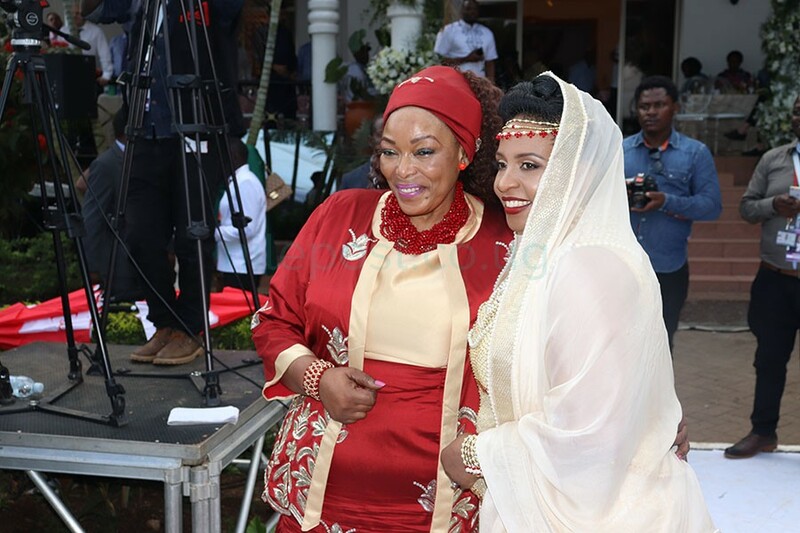 The president also applauded him for bringing up the bride, Bridget Birungi well despite the death of her father during the liberation struggle. “I congratulate the Mbabazis for quietly bringing up Birungi and they even didn’t bother me with it,”Museveni noted. The function held at Mbabazi’s home attracted a number of big shots both in government and the private sector including the Prime Minister, Ruhakana Rugunda, Chief Justice Bart Katurebe, Buganda Katikkitor, Charles Peter Mayiga, the governor of Bank of Uganda, Emmanuel Tumusiime Mutebire, former minister Jim Muhwezi , businessman Gordon Wavamunno and Sudhir Rupareria among others. 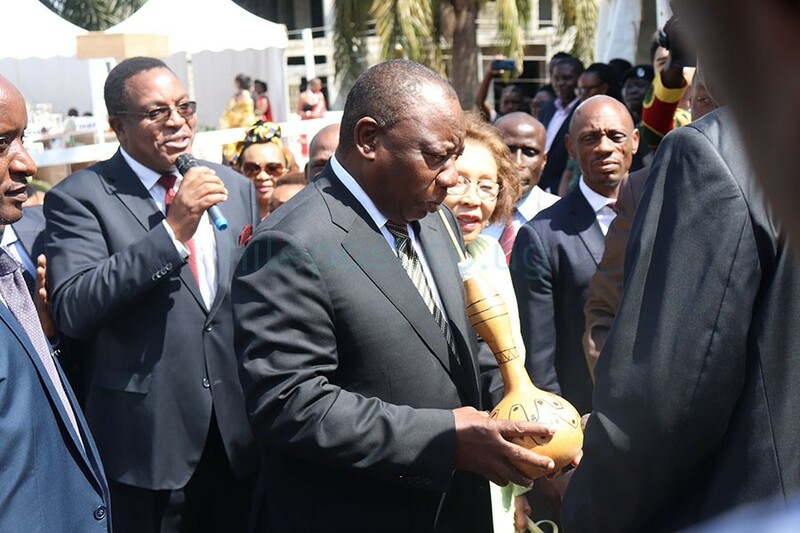 President Ramaphosa takes a sip of Obushera, a local brew on arrival at Mbabazi’s home. 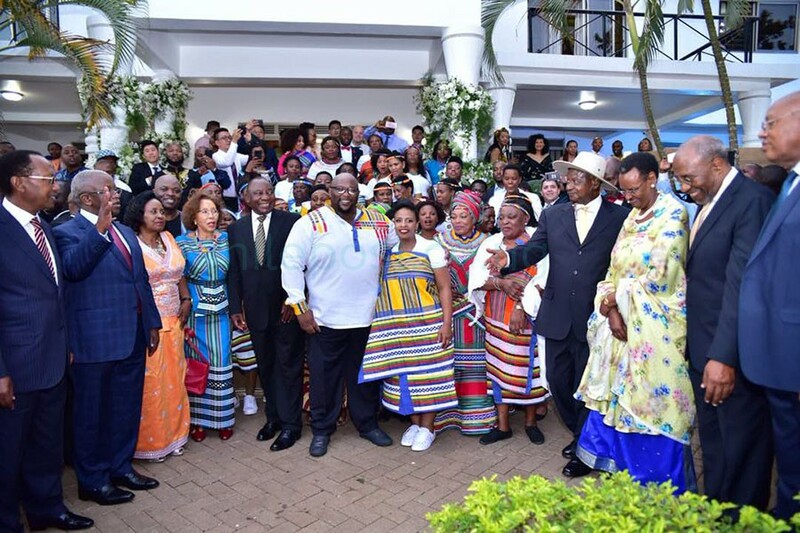 Speaking at the Kuhingira, South African President Cyril Ramaphosa reminisced the days when his son, Andile invited his parents to China to meet his friends. ” Bridget and Andile met in China. Andile didn’t want to disclose who his girlfriend was. We went out on a dinner where he came with a group of friends. We still failed to figure out who his girlfriend was,” President Ramaphosa said on Saturday evening. The couple pose for a photo moment on Saturday. He said Bridget and Andile were deeply in love, adding that many girls back in South Africa have taken to social media wondering why his son had to get a wife from Uganda. Former Prime Minister, Amama Mbabazi applauded the Ramaphosa family for being trustworthy and dependable when they fulfilled their promise. “When you came to ask for Bridget, you made a number of promises and I am happy you have fulfilled them. 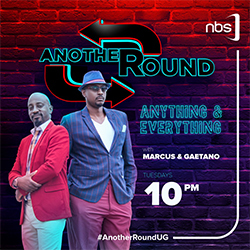 It is our great delight for you,”Mbabazi said. 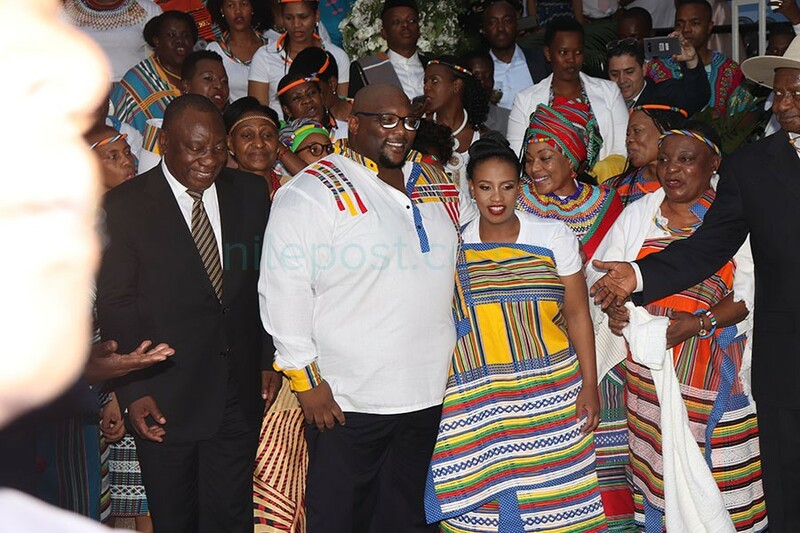 Andile Ramaphosa, 36, is the eldest son to South Africa and African National Congress President Cyril Ramaphosa whereas Bridget Birungi is a niece to Amama Mbabazi.